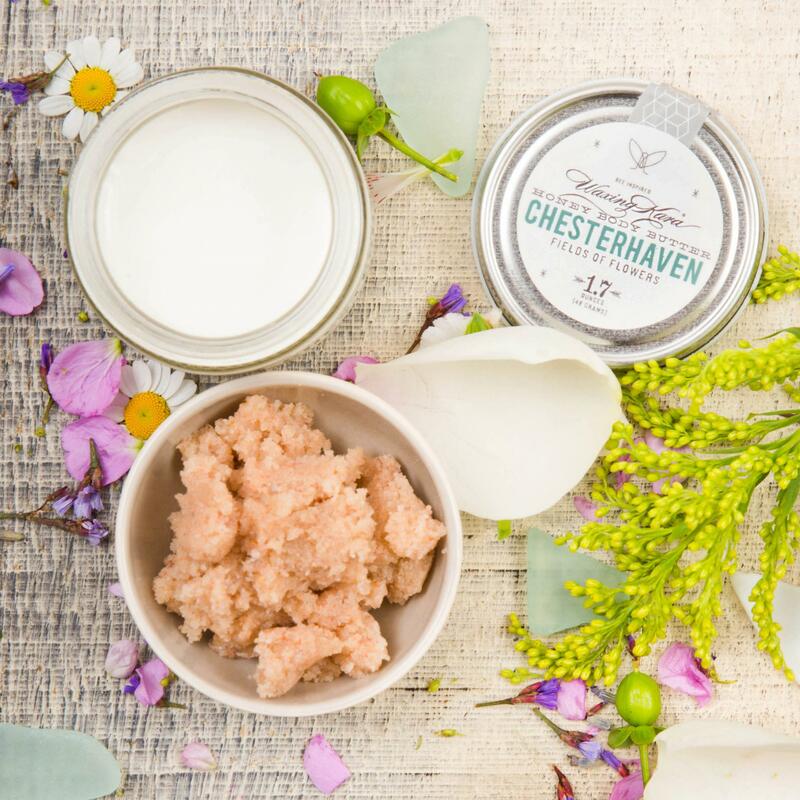 Chesterhaven Salt Scrub was inspired by our farm, apiary and the Chester River. 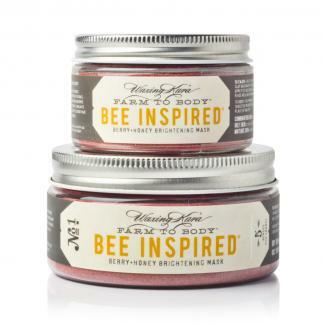 Featuring pink mineral salt, fruit powders and seeds that revitalize the skin. 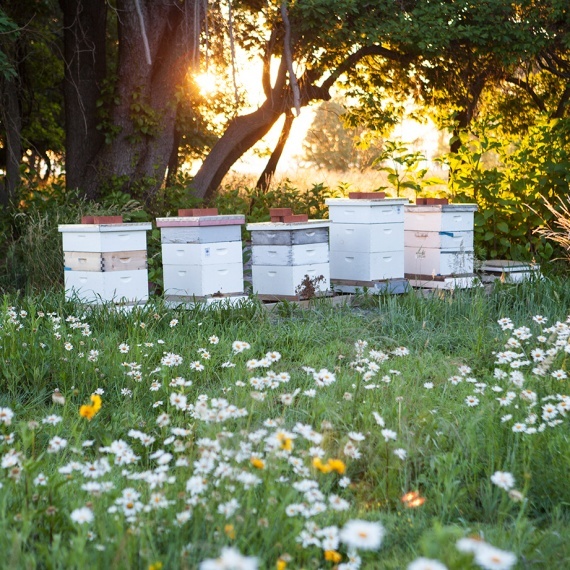 Enjoy a trip to our farm without leaving your home. Safe for face and body. 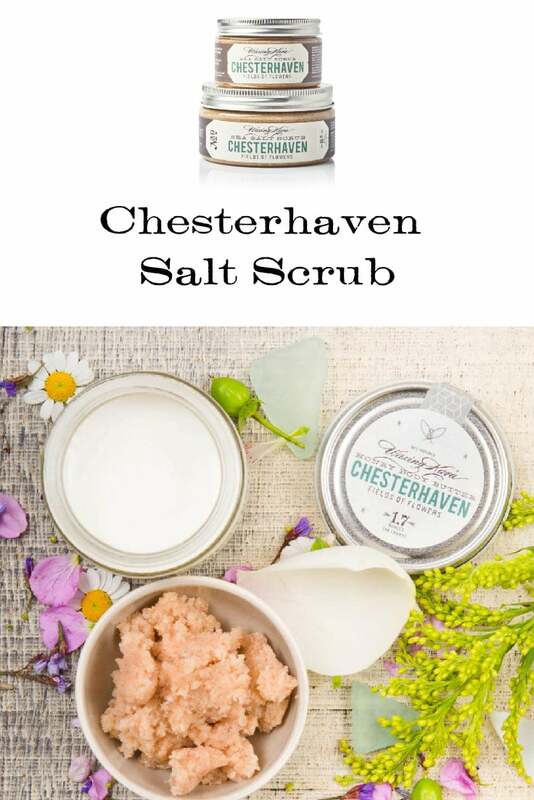 Chesterhaven Salt Scrub is gentle enough to use on face and body. We were inspired to use pink mineral salt as a nod to the brackish waters of the Chesapeake Bay in this completely new entirely plant-based scrub formulation. We collaborated with a chemist friend to develop this completely natural essential oil blend that reflects all the various the flowers and trees growing on our farm. This salt scrub is 100% natural. The line is complete with Chesterhaven Body Butter and Spa Candle. Who it’s for: Appropriate for most skin types, especially dull and dry ones. Fragrance: The fragrance is a blend of essential oils steeped in wildflowers, berries, fruits and bergamot. Floral, fresh-air-sweet. Soft, not heavy. 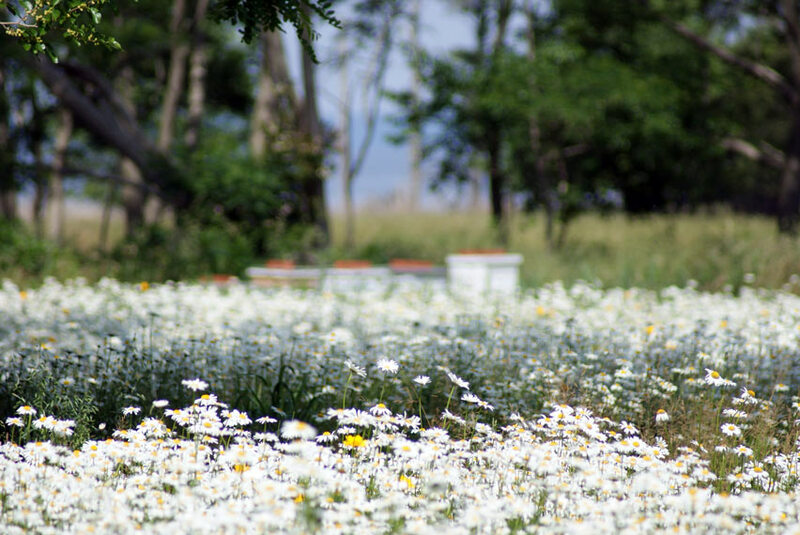 Will remind you of a flower meadow in early spring with a hint of honey. CAUTIONS: Discontinue if irritation occurs. May cause slippery surface in tub or shower. Store away from light and heat. Really nice product – my skin feels smooth and glows after using it and it smells amazing – very fresh! Would recommend this to anyone looking to brighten their skin, Love using it on my face! I really wasn’t sure if I was going to like this scrub but I am a true fan! My skin was so soft and glowing after one use. Love it! Love it! I have more, eh ummm, “mature” skin and this is gentle enough for my face. It’s salty… like a swim in the ocean!